When it came to the fast-expanding rights of marijuana smokers, Election Night was not a buzz kill. Voters in Alaska, Oregon and Washington, D.C. passed measures legalizing the drug for recreational use Tuesday, joining Colorado and Washington, which legalized the drug in 2012. Alaska’s Measure 2 allows residents over the age of 21 to posses up to one ounce of marijuana and to grow six plants for personal use. Devices used to smoke marijuana, such as bongs and pipes, can now also legally be sold in the state. In Oregon, Measure 91 passed by a margin well over one million votes. The initiative allocates a taxes on marijuana sales to public schools, mental health services, and police forces in the state. Washington, D.C.’s Initiative 71, which passed by a large margin, allows residents to posses up to two ounces of marijuana, to grow six plants, and to be able to transfer, but not sell, up to one ounce of the drug to another person. As the district is not a state, Congress could still veto the initiative. The only setback on Tuesday for marijuana activists came in Florida, where a ballot initiative that would have legalized medical marijuana came up just short of the 60 percent threshold required to amend the state constitution. New York state legalized medical marijuana in September 2014. PROVIDENCE, Rhode Island — This week voters in Oregon and Alaska approved ballot measures to legalize recreational marijuana use for anyone at least 21 years old. The two western states followed the lead of Colorado and Washington which have already approved and implemented similar measures. All four states plan to regulate and tax marijuana like alcohol. Now, Regulate Rhode Island is putting together a coalition of citizens and organizations to make a push in the General Assembly in 2015 to become the fifth state in the nation to legalize marijuana. It already is one of 23 states and the District of Columbia that permits the sale of medical marijuana for licensed patients suffering from chronic pain, cancer, HIV-AIDs and other debilitating ailments. Jared Moffat, of Regulate Rhode Island, said it appears that at least five more states could approve the legalization of the drug by 2016. ALABAMA Any amount can land you up to a year in prison/$6,000 fine. Carly’s Law, which passed in March, legalized the possession of a prescribed, non-intoxicating marijuana extract known as cannabidiol, or CBD, which some patients use to treat seizures. 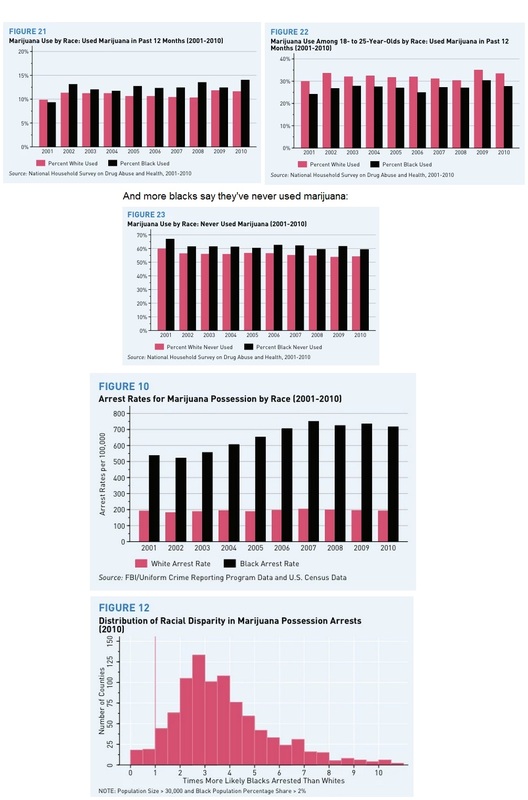 Psychoactive strains of marijuana still remain illegal for medical use. ALASKA There’s no penalty for having up to 4 oz. in a private home, but in public, getting caught with <1 oz. is still a misdemeanor punishable by up to 90 days in jail/$2,000 fine. Patients with an approved condition and a doctor’s note saying they “might benefit” from pot may possess up to 6 plants. Ballot Measure 2 legalizes and regulates the consumption of marijuana for those 21 and older. It also allows home cultivation. It will not become law until 90 days after the election is certified. It will create a Marijuana Control Board that will have 9 months to craft regulations dealing with how marijuana businesses will operate. ARKANSAS Possessing up to 4 oz. could land you 1 year in prison/$2,500 fine. The next time you’re caught with 1-4 oz., it’s a felony carrying up to 6 yrs./$10,000. COLORADO Adults 21 and older may possess up to 1 oz. of pot and up to 6 plants. Patients (or their primary caregivers) may legally possess up to 2 oz. and 6 plants. Even though pot is legal for adults, you can still get up to 15 days in jail/$100 fine for open and public display or use. CONNECTICUT Maximum fine of $150 for possession of <0.5 oz. Registered patients with a “debilitating medical condition” and “written certification” from a doctor may possess up to a “one-month supply,” according to NORML. The recent law does not address home cultivation. DISTRICT OF COLUMBIA Possessing up possession of up to 1 oz. is just a $25 infraction. Patients with qualifying conditions may possess up to 2 oz. of pot from a licensed dispensary, but are not permitted to grow their own. Initiative 71 makes it lawful under District of Columbia law for a person 21 years of age or older to possess up to two ounces of marijuana for personal consumption, grow up to six cannabis plants, and transfer without payment (but not sell) up to an ounce of marijuana to another adult for personal use. Like all new DC laws, the initiative could be revoked by Congress during a 30-day review period. DELAWARE For the first time, a legislative committee voted to release a bill that would reduce penalties for the possession of small amounts of marijuana. Although the bill did not come up for a vote, it was viewed as a sign of progress. For now, possession of any amount can get you up to 6 months in prison/$1,150 fine. Getting caught with pot near a school, park, or religious building is a serious felony: up to 15 years/$250,000. Patients with an authorized “debilitating medical condition” may buy and possess up to 6 oz. from a licensed facility. The recommending doctor must have a “bona fide patient relationship,” and home cultivation is forbidden. FLORIDA Possession of 20 g or less is a misdemeanor carrying up to 1 year in prison/$1,000 fine. More than that is a felony: up to 5 years/$5,000. A law passed by the Florida legislature in May allows extremely sick patients to use a non-psychoactive strain of marijuana (it must contain no more than .8% THC and no less than 10% CBD). Patients can consume the marijuana via pills, oils, or vaporizers but smoking it is prohibited. A ballot measure that would have legalized other strains of marijuana for medical use failed at the polls in November but advocates have vowed to try again. GEORGIA Possession of 1 oz. or less is a misdemeanor carrying up to 1 year in prison/$1,000 fine. More than 1 oz. is a felony that can get you 1-10 years in prison. A medical marijuana bill sponsored by state Rep. Allen Peake narrowly failed to pass but a new bill is expected next year. IDAHO Possessing up to 3 oz. is a misdemeanor punishable by up to 1 year in prison/$1,000 fine. ILLINOIS One of several decriminalization bills may be considered during the lame duck session. Chicago Mayor Rahm Emanuel has backed decriminalizing marijuana in Illinois. For now, possessing up to 30 g is a misdemeanor carrying up to 1 year in prison. Subsequent possession of >10 g is a felony carrying up to 3 years/$25,000 in fines. Patients with a qualifying medical condition can possess up to 2.5 oz. They must have a preexisting relationship with the recommending doctor and buy their pot from a state-licensed facility. INDIANA Being caught with up to 30 g (just over 1 oz.) could mean 1 year in prison/$5,000 fine. More than 30 g is a felony. IOWA Possessing any amount can get you up to 6 months incarceration and $1,000 in fines for the first offense. The Medical Cannabidiol Act allows qualified patients to posses a non-psychoactive strain of marijuana, which is defined as one that contains less than 3 percent THC. They can only obtain it by traveling to another state that allows the sale of medical marijuana. 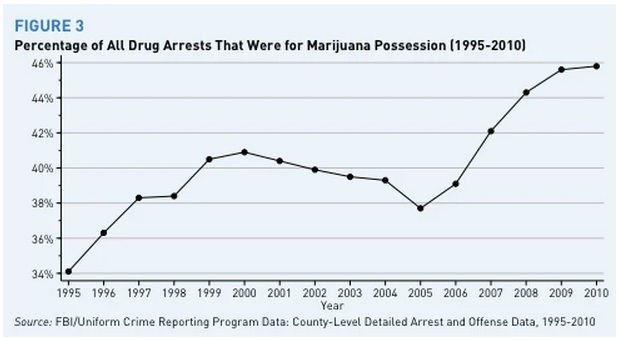 KANSAS Possession of any amount of pot can get you up to 1 year in prison/$2,500 in fines. Subesquent possession is a felony: up to 3.5 years/$100,000. KENTUCKY Possession of <8 oz. can land you up to 45 days in prison/$250 fine. SB 124 allows patients with a writen perscription to possess non-psychoactive cannabidiol oil. All other marijuana-derived products remain illegal. LOUISIANA Getting busted for misdemeanor pot possession no longer automatically causes the revocation of an ex-con’s parole under a modest decriminalization reform passed in June. But possession of any amount up to 60 lbs. can still earn you 6 months in prison for the first offense, 5 years for the second, and 20 years for subsequent offenses. Fines range from $500-$5,000. MICHIGAN Pending bills would reduce penalties for small-time use and possession. For now, being stoned in public can get you 90 days in jail/$100 fine, while possessing any amount of pot could mean up to 1 year/$1,000 fine—double that if you’re caught in a park. Patients (or their primary caregivers) with qualifying medical conditions may possess up to 2.5 oz. of pot or 12 plants grown in a secure, locked area. Doctors perform a “complete” in-person exam before recommending pot for a patient. There is no state legalization bill currently in play, but 15 Michigan cities, including Detroit and Lansing (the state capital) have legalized the possession of small quantities of pot for private use. MINNESOTA Possession of <1.5 oz. is a misdemeanor carrying a maximum $200 fine. Patients suffering from a limited number of severe conditions may consume marijuana, with a prescription, but only via liquids, oils, or pills. The Commissioner of Health will certify two in-state manufacturers. MISSISSIPPI Maximum $250 fine for possession of up to 30 g (just over 1 oz.). MISSOURI SB 491 classifies possession of less than 10 grams of marijuana as a “Class D” misdemeanor, which is not punishable by jail time. The law takes effect on January 1, 2017. Possession is currently punishable by up to a year in prison/$1,000 fine. House Bill 2230 allows people with epilepsy from whom other treatments have failed to possess cannibidiol, a non-psychoactive extract of marijuana. Other forms of pot remail illegal for medical use. MONTANA Any amount <60 g (about 2 oz.) can land you up to 6 months in jail/$500 fine. A second offense can get you 3 years./$1,000. More than 60 g is a felony carrying 5 years/$50,000 fine. Registered patients (or their primary caregivers) diagnosed with one of the qualifying medical conditions may possess up to 6 marijuana plants. NEBRASKA Possession of <1 oz. brings a maximum $300 fine. NEW JERSEY Currently, up to 50 g can earn you 6 months in prison/$1,000 fine. The 2010 Compassionate Use Medical Marijuana Act set up rules for the creation of up to 6 state-licensed “alternative treatment centers,” which supply medical pot to state-authorized patients suffering from a predetermined list of medical conditions. Three of the six centers are now up and running. NEW MEXICO Possessing 1 oz. or less can get you up to 15 days in jail and a $100 fine. For the second offense, it’s 1 year/$1,000 fine. More than 8 oz. is a felony: 1.5 years/$5,000. Doctor-authorized patients who register with the state and are diagnosed with one of several specific illnesses may possess up to 6 oz. and/or 16 plants. NEW YORK Maximum $100 fine for possession of <25 g (a bit under 1 oz.). In July 2014, Gov. Andrew Cuomo signed the Compassionate Care Act, making New York the 23rd state to legalize medical marijuana. The law allows it only in nonsmokable forms, however, such as pills, oils, and vapors. NORTH CAROLINA Although a misdemeanor, possessing up to 0.5 oz. will only get you fined up to $200. (Any more than that can get you 45 days in jail/$1,000 fine—or worse.) House Bill 637 would make possession of up to 1 oz. a fine-only infraction. NORTH DAKOTA Possession of less than 0.5 oz. can mean up to 30 days in prison/$1,000 fine, while 0.5-1 oz. can get you 1 year. More than an ounce is a felony: 5 years/$5,000. OKLAHOMA Possession of any amount can land you in prison for up to a year; a subsequent offense is a felony worth 2-10 years. OREGON Possession of <1 oz. is a misdemeanor with maximum $650 fine. Patients with a written doctor’s recommendation stating that marijuana “may mitigate” state-approved “debilitating symptoms” can possess up to 6 mature plants and 24 oz. of cannabis. Measure 91 allows people 21 and older to possess up to 1 ounce of marijuana in public and 8 ounces at home. The law also allows up to 4 marijuana plants per household. It taxes marijuana sales and allocates the revenue to drug treament, prevention, and mental health programs (25%); state and local police (35%); and schools (40%). Sales will be regulated by the Oregon Liquor Control Commission in a manner similar to alcohol. The law takes effect July 1, 2015. SOUTH CAROLINA Get caught with <1 oz. and you could face up to 30 days in jail/$200 fine. For a second offense, the penalty increases to 1 year/$1,000. SOUTH DAKOTA Possession of <2 oz. is a misdemeanor punishable by up to 1 year in prison/$2,000 fine. For 2-8 oz. it’s a felony carrying up to 1 year/$4,000 fine. From 8-16 oz., it’s 5 years/$10,000. TENNESSEE Half an ounce could land you 1 year in prison/$250 fine. For a second offense, the fine jumps to $500. Third time’s a felony worth up to 6 years/$1,000. Senate Bill 2531 allows a limited group of patients to use non-psychoactive cannibidiol. Other forms of marijuana remain illegal for medical use. UTAH Possession of <1 oz. can land you up to 6 months in jail/$1,000 in fine. For 1-16 oz., it’s 1 year in prison/$2,500. VIRGINIA Possessing any amount up to 0.5 oz. could get you 30 days in jail/$500 fine. For the second offense, it’s 1 year/$2,500. WASHINGTON Possessing up to 1 oz. for private consumption carries no penalty. But public use can still result in a $100 fine. Patients with “valid documentation” from a doc affirming that they suffer from a state-approved debilitating condition and that the “potential benefits…would likely outweigh the health risks” may grow up to 15 plants and hold up to 24 oz. of pot. Adults may possess up to 1 oz. of cannabis or 16 oz. of marijuana-infused product in solid form (or 72 oz. in liquid form) for private, personal use. Sales began July 8. WEST VIRGINIA Getting caught with any amount is a misdemeanor carrying 90 days-6 months in jail and fines of up to $1,000. WISCONSIN Possessing any amount is a misdemeanor punishable by up to 6 months in prison/$1,000 fine. The second offense is a felony: 3.5 years/$10,000. Assembly Bill 726 allows a limited group of patients to consume the marijuana extract cannabidiol “in a form without psychoactive effect.” Other forms of marijuana remain illegal for medical use. 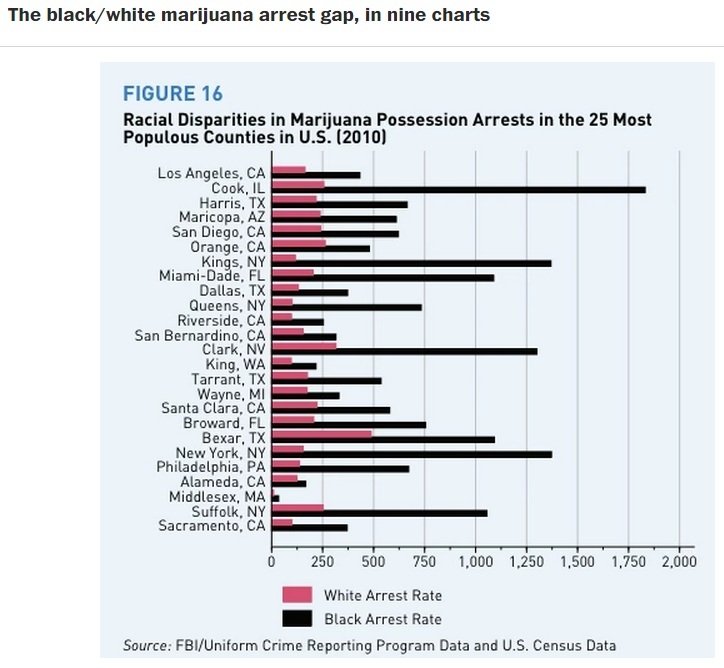 WYOMING Just being high can get you up to 90 days in jail/$100 fine, and possessing any amount up to 3 oz can land you a year in prison/$1,000 fine. Any more than that, you’re looking at 5 years/$10,000.